Jo Aazdi tumhe tumhare cliches say Aazaad nahi kare, us Aazadi ka tum kya Karoge. Hero singing out the details of a conspiracy, how a killing was planned and how it was carried out. Hero dances on stage in front of the villain and sings out his the plans of a long overdue revenge. Hero is not Rishi Kapoor in Karz (1980), it is Shahid Kapoor in Vishal Bhardwaj's Haider (2014). Prince Hamlet sings Ek Tha Gul Aur Ek Thi Bulbul to Claudius to get his confession of guilt. I will not write about the film. There is not much to say about it. Maqbool still is the best Shakespeare adaptation by Vishal Bhardwaj. My Kashmiri pride say's Kashmir deserves a Akira Kurosawa, not this meek surrender of senses. (Kasheer's Gass'ya AtumBum pyon and then we would get Akira). But then decades of conflict seems to have only produced generations of experts on the 'Kashmir Issue' and not the arts. So much bloodshed and yet we are devoid of art, a language, a medium in which original metaphors of this conflict could be produced. Instead, we have imitation of art. We look for inspiration in art produced by other conflicts. Coping bits and pieces. Putting together a kind of magic mirror that only Bollywood can produce. Perhaps it is fitting for a conflict whose narrative was and is always dying to follow the narrative curves of other conflicts. If it wasn't sad it would be funny. I said I will not write about the film (yes, I have reached a point where it seems pointless), so I will write about some random stuff that you would see (and hear) in this film and things you wouldn't see, hear or read in context of the film. We will try to see if there indeed is a method to this maddening conflict. But, first just to clear some doubts. The purpose of movies. 'All Quiet on the Western Front' (1930) couldn't stop 'Triumph of the Will' (1935) couldn't stop 'The Great Dictator' (1940) couldn't stop Vietnam War couldn't stop 'Full Metal Jacket' (1987) couldn't stop Afghan war and so on. Movies they come and they go, the conflicts they move on. They were and they will. But, it is always a nice idea to watch a movie about a conflict. There's a rare chance, you might learn a few things. Be entertained. Move on. In 'Haider', in a particular scene, Haider looking for his missing father moves from military camp to military camp. In a particular camp on the wall can be seen a motto,'Get them by balls, minds and hearts will follow.' This was an actual motto of the renegade army comprising of former militants trained and armed by Indian Army as a solution to Islamic terrorists. 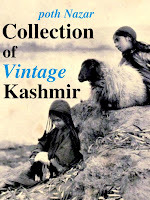 It is mentioned in a bunch of books about Kashmir issue (first in 'The Meadow' (2012) by Adrian Levy and Cathy Scott-Clark about most famous case of kidnapping of the foreign tourists in Kashmir). It is an embarrassing kind of motto, the violence in it is kind of indefensible. What is probably even more embarrassing is the fact (seldom mentioned by experts) that the motto was not an original Indian invention. It was an American invention. It is said to have been uttered by their President Lyndon Johnson. It came to represent the American Military's approach to Vietnam war. We all know how that ended for them. So the question is why did some unknown, powerful, spook-infested, dim-witted man in uniform chose those lines as motto for this band of state sponsored killers? Hadn't he seen 'All the President's Men' (1976)? What lack of imagination! PAPA2 becomes MAMA2. Simple. MAMA 2 would have made sense if the film was about a girl looking for the story of her mother. The mother could then be heard singing in the torture cell at nights. The only voice of defiance in the dark cells of this death factories in which monsters are moulded. No, wait a minute that film has already been made. Denis Villeneuve's brutal film 'Incendies' (2010). To imagine a defiant Kashmiri inside a PAPA2, one had to borrow a metaphor from an Oscar nominated film set in Middle-East conflict. What lack of imagination! In a flashback scene, a teenage 'Haider' can be heard singing a Jihadi song that originated from Pakistan side of Punjab after fall of Russia in Afghanistan, 'Jago Jaho Subha Hui, Khoon Shaheeda Rang Laya' [link] made without any stringed intrument. The Jihadi song was based on a harmless fun PTV song meant for children [link] to get them to wake up early in the morning. Apparently, the Jihadi version was quite popular among kids in Kashmir in early 90s. It was their 'Eye of The Tiger'. The kind of song on which one could dream of happily blowing up. The song is available on a Youtube channel named, 'ugerWadi'. On the same channel having a whole range of Jihadi songs you can find a song called 'Apni Jang Rahay Gee'. The response of Bollywood to such songs: 'Mera Mulk Mera Desh' from Diljale (1996) based on Israeli National anthem. The original 'Apni Jang Rahay Gee' [link] was sung by Mehdi Hassan ( who gave us 'Gulon Mein Rang Bhare' ) in a Pakistani film called 'Yeh Aman' (1971) and written by lefty Habib Jalib (who spend a later part of his life having Jung with Zia). The propaganda film was made after the failure of Operation Gibraltar of 1965, the song had a refrain that relied on a Kashmiri saint, 'Ya Peer Dastgeer Madat Kar'. 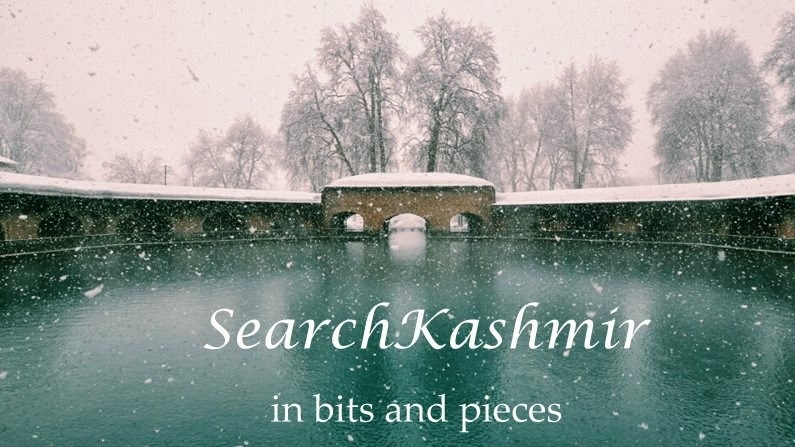 The Jihadi version of the song, reflecting and triggering the changing vocabulary of the Kashmir, had instead the refrain 'Ya Rabbul Alamin Madat Kar'. (In Haider, in one of the torture scenes, you can hear a Kashmiri swear on Dastgeer Saheb). What has all this got to do with Haider? 'Yeh Aman' (1971) had Tabu's father Jamal Hashmi playing a Kashmiri. It is one of the few films on Kashmir in which Pandits (comically) are part of the story. More on that film, some other day. It is interesting that Shahid's father Pankaj Kapoor played the first famous Kashmir terrorist in Roja (1992), a film that couldn't even be shot in Kashmir. In the scene in 'Haider' where 'Bhands' are introduced, we are also introduced to the other sort of actors: the new Politicians of Kashmir out to 'sell'. 'Bhand' has been used as a derogatory term in India for a long time, but the term in Kashmir is employed even more potently. In Kashmir, these traditional performers have had to deal with the label of 'traitors'. It is recalled that they right from the time of Nehru have been performing in the State capital. They have been deemed collaborators. Some unknown masked-men remember their Pandit origins and their love for fiddle, so these artists have faced bullets. Their art dying a slow death. In fact, the art of using masks in Bhand performances (the mask the are parts of 'Haider') was revived only in 2012-2013. It is extensively used in a performance known as 'Shikargah Pather'. That you are are someone, and me someone else. The cinema hall were a mini-theatre of war and protest even back then. In around 1965, the playing of Indian National anthem in cinema halls of Kashmir was stopped. Palladium was the stronghold of Bakshi brothers in 60s, to the Islamist puritans, the house of corruptor. No wonder it had to be brought down in the 90s. The ideology of the unknown masked-men remembered and attacked the symbols and what they stood for. The body and soul, separated. Salman and Salman crushed to death. Death to Rosencrantz and Guildenstern. Beside the Cinema Hall, the only other stage presented in film is the ruins of Martand. It's odd to note that Martand was an place were Kashmiri at least up till 1950s used to gather to dance and sing. Few remember it now. This stage too is now gone. Instead, we have idiotic manufactured controversies over 'Ahansa, he showed Shaitan in our Mandar. Down with the film.' From the way the scene is set, the temple, is used to represent Kashmir in which a dual faced devil (or Roman Janus, the god associated with among other things, Sun and changing time) watches all and devours some. When Haider does Dhamali, he not just mimics dance steps from Gangnam style, he is riding the horses of the sun god. 'Haider' tells us a middle-class well educated Kashmiri Muslim even when close to death, would ask another person, if he is a Shia or a Sunni. A convenient contortion of creative zeal in a Bollywood film penned by a Kashmiri. A contortion that deforms an otherwise brilliantly throughout idea by Basharat Peer: The ghost of King Hamlet. And Heraclitus' "war is the father of all things and the king over all"
The ghost of Hamlet becomes Roohdaar, the father of war, the vengeful soul of Haider's father, the body of an ISI agent. In Vidhu Vinod Chopra's Mission Kashmir, the invincible ghost has his head slit and yet he survives. In Bhardwaja's Haider, he is shot and drowned and yet he survives. Make a few more Bollywood movies, throw in poisoning, and it would definitely seem like we are trying to kill Rasputin. The ghost claims immortality. The only thing immortal in all this is war. It seems both sides, the pro and the anti, have conceded that the war is immortal. So, our war remains. The physical appearance of Roohdaar, the dark glasses on snow burnt eyes reminded me of a character from Kashmir known as Nabgagal. Violence is an act in which ideas are not attacked but the head from which ideas originate is attacked. Trotsky must get Snowballed. Haider intentionally and unintentionally cracks every skull that he deems source of his suffering. In 1990, NSD theatre artist Bhawani Bashir Yasir was among the people who crossed over to Muzaffarabad. He took a new name Dr. Haider Mizazi and in Muzaffarabad took over the work of propaganda for Amanullah fraction of JKLF. Bhawani returned to Srinagar in 2000, took up his old name and again returned to theatre. In the irony that is Kashmir, Bhawani plays one of the three gravediggers in 'Haider' and sings 'Aao na'. So Jao. A century ago, the only Kashmiris who would dig their own graves while alive, were called Rishis and Peers. They were worshipped even back then. The case of missing Pandits is brought out in the film by a real Pandit, Lalit Parimoo, who plays a cop collaborating with the state. In the scene, he seems to be forced to break character to bring up the argument. It is abrupt and out of place. Missing Pandits is an argument made by many people when Kashmir is discussed, particularly by Pandits, but seldom by a Muslim man of the establishment to counter another Kashmiri Muslims's claim over victimhood. In Shakespeare's Hamlet, the only real friend Prince Hamlet has is Horatio. He is supposed to bear witness to almost all the major events. He is the only one left alive to tell the tale of Hamlet to the world. In 'Haider', the friendly witness is missing. The friend is played by a girl. And she too dies. Did Haider's of Kashmir have no real friends? The audience can't be the witness because even though they see all, not all the people watching are friends of Prince Hamlet. They can't help laughing, spilling pop-corn and soda, when a Kashmiri (cameo by Basharat Peer) won't enter his own house without going through frisking. So, who first bore witness to the story of Kashmiri Hamlet? It seems like Haider himself. After having left Claudius alive, feeling great about not being revengeful anymore, he went on to write his experiences and the wisdom it brought to him. Or maybe even Claudius, after being left alive, feeling remorseful, vengefully went on to write about his loss of humanity. Or perhaps the writer of Haider. Even though Kashmir is still in a 'to be or not to be' state, Haider the film doesn't end on that note. It is forced into a 'to be' state. What death of dreams. What march of Tamasha. P.S. What's with the Moby beat from Bourne Identity (2002) and the end sequence. The gun behind the chain-toilet is a nod to Godfather (1972). In 'Yeh Aman' (1971), 'Mission Kashmir' (2000) and in Haider (2014) the loss of Kashmir, peace, is symbolised by things blowing up by a projectile. In Haider it is the house while in both Yeh Aman' and 'Mission Kashmir', a Shikara is blown up in first one minute of the movie. The story of missing doctor in Jhelum comes from Jalil Andrabi murder case of 1996. The young boy found alive in a truck of dead bodies, and then dancing. That tale comes from Gawkadal Massacre of 1990. PAPA2 was shut down in around 1996. Later, the colonial building became residence of PDP's Mufti Sayeed in around 2005. In 1947, a priest of the Hari Singh had declared the building inauspicious as it was built over a spot dedicated to a goddess. Anyone read 'Shalimar the Clown' (2005) by Salman Rushdie? The one which mashes up Shakespeare's 'Romeo and Juliet' with 'Hamlet'. The revenge story which actually ends on 'to be or not to be' note. The story in which a woman named India/Kashmira, born of Ghazala and Khurram, must choose what to do with King Hamlet, Shalimar the Clown who has turned killer. Finally !! a piece about the movie (however obliquely) that i can read without shaking my head in despair. Thanks Vinayak!! Can i share this please? Sharing is caring. Thanks for reading. I started writing about the flaws of this crap well before it was released and then could not resist writing an open letter to this "so called" cinematic genius who is alleged to be producing cinematic excellence and True Cinema. Made me laugh at him less & more on intellectually bankrupt audience who are going ga ga for it. The film gets UA Certificate with parental discretion after 41 cuts. I was curious to know what those 41 cuts were and filed two RTI applications against CBFC & Min of I&B on 8th Oct 2014 directed it to share the information with me, that is awaited. Interestingly, Haider was the last film cleared by the suspended CEO of CBFC Rakesh Kumar who was allegedly arrested for bribery. This was another motivation for me to get into it technically. When a Board Member of the Censor Board Nandini Sardesai says that the film was not referred to the Review Committee by Rakesh Kumar, it was all the more necessary not to let Vishal Bhardwaj escape unhurt having hurt the millions of KPs and Hindus particularly for desecration of the Sun Temple and portraying it as a den of a devil. I know I will be fighting against a corrupt system and financially a very strong lobby of the film makers, but I am very optimistic and positive about divine justice that surely will happen with #Haider as well as #VishalBhardwaj. can you please tell me the song Haider's father sing in MAMA2? 'Hum Dekhenge' by Faiz Ahmad Faiz. Written during Zia Ul Haq's time.